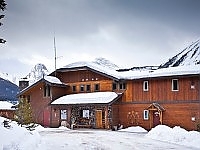 Mount Engadine Lodge, located in Kananaskis Country's superb wilderness, caters to outdoor people and recreation enthusiasts. Experience Mount Engadine Lodge and find out what true mountain adventure is about. Located at the Mount Shark Road turn-off on the Smith Dorrien - Spray Trail. 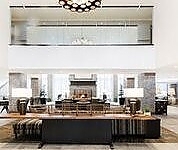 Pomeroy Kananaskis Mountain Lodge is a world-class resort in the heart of the Canadian Rockies that is ideal for reconnecting and recharging.